Alice Mae Rose, 92, of Erbacon passed away Sunday January 21, 2018 at Summersville Regional Medical Center. She was born June 15, 1925 in Skyles, Webster County and was the daughter of the late Newman and Mildred Hoard Sigman. Also preceding her in death were her loving husband Beryl Rose, a son Gary Beryl Rose, a daughter Betty Ann “Sue” Knight, one brother and four sisters. 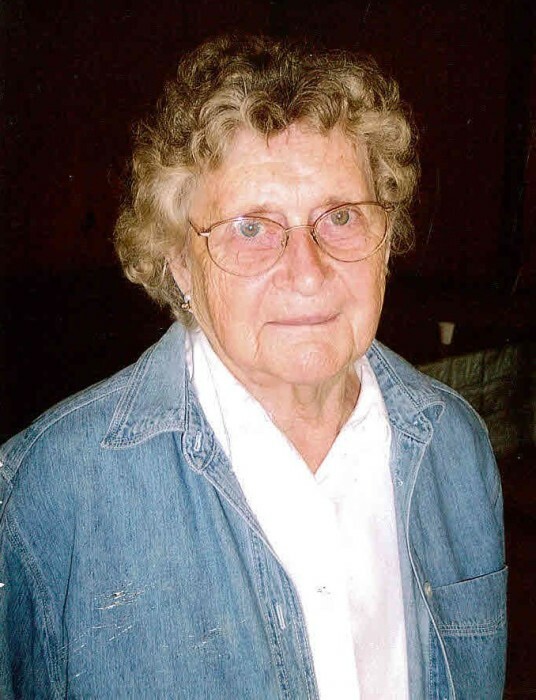 Alice was a lifelong resident of Erbacon and lifelong member of the Erbacon Community Church. During her years as a member of Erbacon Community Church she served as secretary, Sunday school teacher and piano player. She loved working in the garden, working in her flower garden, and playing bluegrass and country music with her husband and was a wonderful cook known for her delicious homemade rolls. Survivors are her children, Barbara “Sally” Ledbetter of Waynesville, NC, Newman “Mac” Rose and his wife Wilma of Cowen and Elaine Bean and her husband Donald of Rainelle; six grandchildren, five great grandchildren and two great-great grandchildren; sisters, Louise Plymale of Erbacon, Linda Miller of Akron, OH and Helen Kay Wilson of Ocean Isle, NC. Service will be 11:00 AM Wednesday, January 24, 2018 at Adams-Reed Funeral Home, Cowen with her son in law, Pastor Don Bean and grandson, Pastor Matthew Ledbetter officiating. Burial will follow at Erbacon Cemetery. Friends may call 5-8 PM Tuesday evening at the funeral home. Online condolences may be left for the family at www.adamsreedfh.com. Adams-Reed Funeral Home is honored to be serving the Rose family.